Safe Solutions can clean most any rugs in your home. Oriental rug cleaning is our specialty. Many companies take your rug, leaving you without it for weeks. Our process allows us to clean your area rug right in your home. Our cleaning system won’t allow any of the cleaning solutions to go through your rug onto the wood floor. Keeping your area rugs clean helps your rugs last longer. Call us today and get a quote on cleaning your oriental and area rugs. Most area rugs contain wool. Wool, of course, is hair. You wouldn’t use harmful chemicals on your own hair would you? Don’t trust your wool rugs to just anyone. Most cleaners that can be used on carpets cannot be used on wool rugs. We are trained know what can and what can’t be used on your rugs. 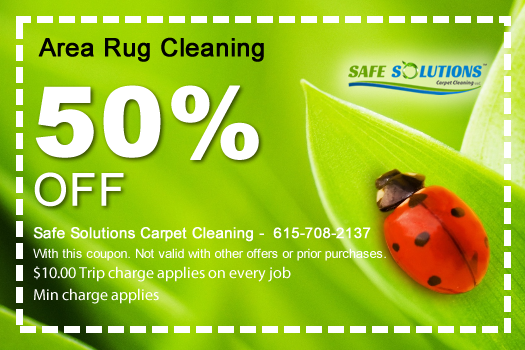 Call Safe Solutions for your rug cleaning today. » Whatever the Dirt, Odor, or Stain, Safe Solutions Carpet Cleaning has you covered! Copyright © 2019 Safe Solutions Carpet Cleaning, LLC. All rights reserved.